1/4 of the time I’m Face #1, 1/4 Face #3 and (I should say thankfully), Face #2 half the time! What about you? 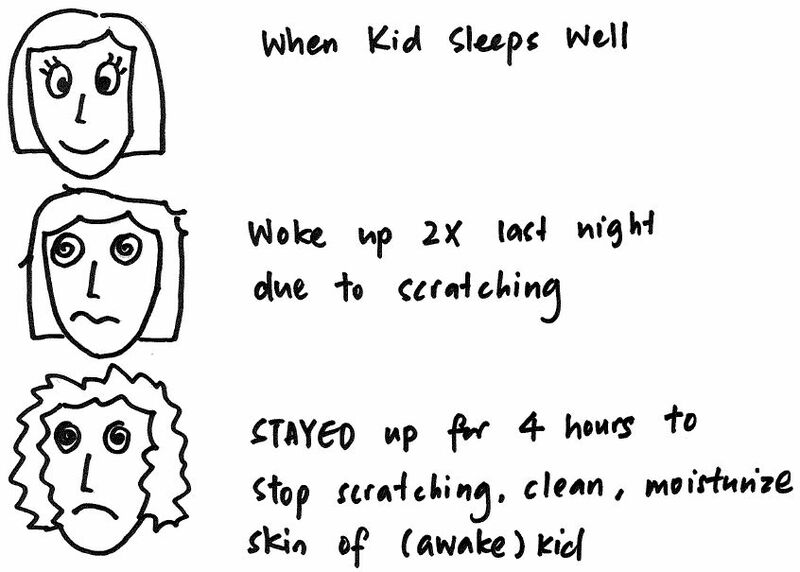 This is the 57th of my “101 Things that Moms with Eczema Child Do Differently“, a tongue-in-cheek look at the many unique situations that we face. For more cartoons, click here to view.